The concept is simple. The process is easy. The results are amazing. Since iDOcam is so unique you are probably going to have a few questions, we have tried to answer most of them here. If you still need answers, call or text us, we are happy to speak to you. iDOcam was developed by a professional videography company that has been producing cutting edge wedding and event videography for over 25 years. Based in Southern California, we are at the epicenter of the film and media world where creative trends in videography define the industry standards. We have produced over 4000 videos and have a wealth of experience and talent to offer. Each year more and more couples are investing in videography for their wedding. Consequently more families are realizing after the wedding is over that a professional video of their wedding was their most valued purchase. Still, budgets and priorities vary and we wanted to offer a quality alternative for couples who are not investing in professional videography. iDOcam lets us partner with you (and your Shutterbug friends) to document and present those memorable moments with a professional touch. This way you have video that is of higher quality and value than an amatuer alone could produce. You won’t regret investing in iDOcam. How much can I record on one iDOcam? Each iDOcam comes with 120 minutes of record time. We have found this to be plenty of time to record the many memorable moments of your day. Is the iDOcam easy to use? After a lot of research and field testing we selected the Apple iPod Touch to use as iDOcams specifically because they produce great quality video and they are so very easy to use. However, to be sure your camera operators will have no trouble at all we have made 3 short and simple instructional videos that can be viewed on this site and our YouTube channel. These videos even come loaded on the iDOcam itself so your cameraperson can watch them on the iDOcam! These 3 videos show camera operation, basic videotaping skills to improve the results, and even a “Pro Tips” video that will take their skills to a new level. What kind of camera is the iDOcam? After a lot of research and field testing we selected the Apple iPod Touch to use as iDOcams. How do I get and return the iDOcams? We will mail your iDOcam cameras for you to receive them the week of the wedding. This will ensure you receive the cameras in plenty of time to catch all the memories. After the wedding, you can use the same box that we sent the cameras in to return them to us. Because of the nature of our unique service and the quick turn-around of equipment required to meet our clients’ event dates it is imperative that you arrange for return of the iDOcams no later than 7 days after the event using 2 or 3 day delivery service. 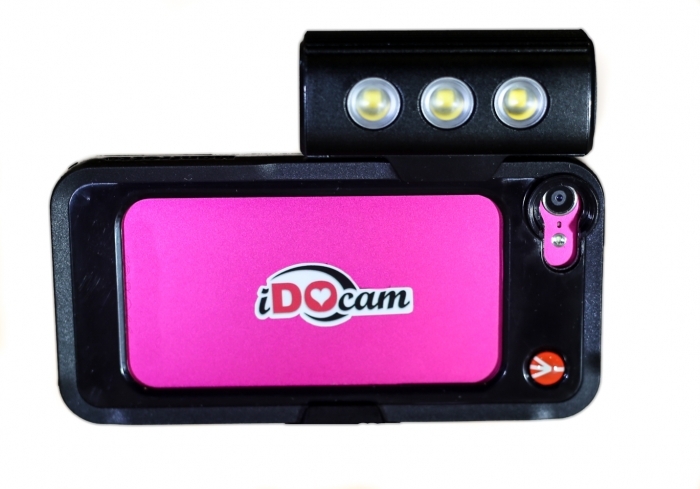 When returning the iDOcams you may use the Shipping option that is most convenient for you. If your iDOcams are not received within 10 days of your event your pre-paid fee will be used to purchase new cameras and the option of editing your video footage will be null and voided. Should your iDOcams arrive later than 5 days after your event, IDOCAM reserves the right to implement one of three options. Option 1. IDOCAM will return the cameras with your video footage intact and no additional charges other than shipping will be applied to your credit card. Option 2. IDOCAM will make and send you a copy of your video footage on DVD as well as Flash Media, but will not edit the footage. No additional charges will apply. Option 3. IDOCAM will complete the editing service as originally ordered, but apply a 20% late fee to your credit card. Will my video have music, and if so can I choose the songs? Your iDOcam wedding video will have actual audio from your wedding day of course, but the video will also be enhanced with music where appropriate. You can provide your own music, choose from the songs in our Soundtrack Selections, or let us pick the music to enhance the edited video. You can view, listen to, and select songs from our Selected Soundtrack here. How will my camera people know what to do? If you have a friend or family member that likes taking pictures or video you have the perfect person to use iDOcam. We have chosen the best and easiest equipment we could find. We have also produced 3 video tutorials to help your shutterbug friend learn how to operate the camera and greatly improve their results. You can view and share our Tutorial Videos here.